The art of words is a very divine gift. It is older than the drum. I have seen this gift used in a variety of ways, some good and some bad. This is a subject that is rarely discussed in the circles of poetry. There is nothing positive about pointing out a whole bunch of problems without providing the listener with a suggestion of some sort of solution. This course of action is equivalent to the glorification of victim-hood, but there are others who use their “gift of words” to uplift the soul. Tantra Zawadi is a primary example of empowerment through art. Tantra didn’t grow up around cut lawns and a wooden fence. It was difficult for her, but she remained focused made a life for herself and her family by sticking to certain principles of godly devotion and love that is universal and does not fall under the guise of religious aesthetics. It is real. The beautiful thing about all of this is that she has infused these same principles into her art of words. Her words will always lead you to a brighter place, a brighter environment, an oasis of the mind and heart if you will. One of the greatest things that I admire about Tantra and her poetry is that it is as real as anything else, but it inspires you to do the greatest good for you. The world is blessed to have a soul that reflects the revolution of the heart, as seen in the work of Tantra Zawadi. Warlock Asylum: It is definitely an honor to have this time to speak with you, but for our readership in general, how would you describe yourself? Tantra Zawadi: The essence of love as mother, artist and activist…ever evolving – the long/short of it! Warlock Asylum: I remember I had heard quite a bit of talk about you during the late 90’s when I first came on the poetry scene. I remember you were the host of an open mic event, where I finally got a chance to hear some of your work. Your poetry really speaks from the heart. What inspires you to write? Tantra Zawadi: Love, spirituality, the human condition and self discovery have always inspired me to write. Poets such as Gil Scott-Heron, Haki Madhubuti, Sonia Sanchez, June Jordan, Nikki Giovanni, S. Pearl Sharp, The Last Poets, Langston Hughes, Pablo Neruda, Walt Whitman, Tagore, Malika Ndlovu, Mirabai, Rumi and countless others inspire me. I particularly enjoy poetry that explores social consciousness. Right now, I am listening to new releases by Ngoma and Tshombe Sekou. I’ve always had lots of questions, and writing poetry was and still is a naturally creative response to life. Warlock Asylum: When did you begin writing poetry? Tantra Zawadi: I wrote my first poem in grade school for a poetry contest when I was about nine years old. We read some poetry in school, but I did a lot of independent reading. It was hip to read! My family/friends and I spent a lot of time at the Grand Army Plaza branch of the Brooklyn Public Library in New York City during my youth. It was important and impressive to read about art, history and culture. It was mandatory and encouraged by the elders – and – it was equally important to listen to jazz! The poem that sparked my first love of poetry was a poem from back in the day written by Haki Madhubuti “but he was cool – or he even stopped for green lights.” I remember feeling enthused and proud to be black. Warlock Asylum: Many people from back in the day know of your work with the trio “Precious Gift.” How did this spoken word group come about? How were you able to move on and continue to perform even after the group’s breakup? Tantra Zawadi: Precious Gift (Fisiwe, Epiphany and Tantra)!!! I don’t have to tell you how incredibly talented Fisiwe and Epiphany are. We came together to share our feminine perspective through poetry, movement and song (“Selling my Diamonds” CD produced by Taalam Acey). It was powerful! As a collective, we peeled back the layers of womanhood and worked through some issues that were “un-pretty” embracing discoveries about God/love, social consciousness, reinvention, victory and gratitude. We never really broke up; we remain very close in our exploration of womanhood, life and creativity through our families and communities. We did an impromptu performance in Atlanta last year at a birthday celebration! I have grown tremendously through my relationship with Precious Gift – PG4evah! Warlock Asylum: What does the name “Tantra” mean to you? Tantra Zawadi: It is broad; but to me, Tantra (a Sanskrit word) embodies the expansion of consciousness – an inner realization that touches upon every aspect of being. Zawadi is of Kiswahili origin and means “present” or “gift.” Tantra-zawadi is an ever-expanding gift of consciousness that encourages me to grow in light and love. Both names were given to me by dear friends and I am so grateful for the blessing. Warlock Asylum: What is the overall message that you wish to convey to your listener? 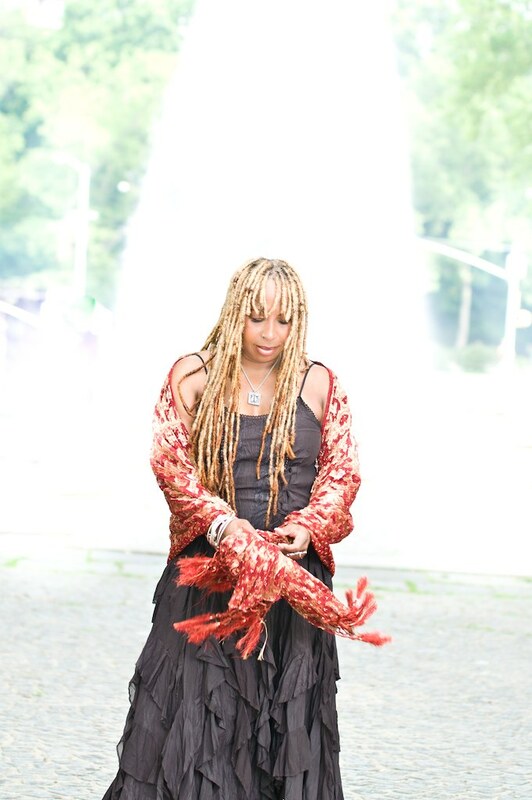 Tantra Zawadi: My overall message is to let love lead. Warlock Asylum: It is always good to see someone with a refreshing style that is original. What artists have influenced you over the years? Tantra Zawadi: Oh, the list is truly long! Artists such as Al Jarreau, Gil Scott-Heron, Earth, Wind and Fire, John Coltrane, Ursula Rucker, Marvin Gaye, Maxwell, Miles Davis, Michael Jackson, Santana, Return to Forever, Sonia Sanchez, Sarah Vaughn, Minnie Riperton, Nina Simone, Sade, The O’Jays and many more, have deeply inspired me over the years. I am very passionate about house music and dance – love it! Warlock Asylum: What can we expect from Tantra as an artist in the near future? Tantra Zawadi: I would like to continue the exploration of poetry as well as more house music/movement collaborations, short films and empowerment projects with Girl-Child Network Worldwide and Chitakatira High School. Warlock Asylum: What advice would you give to those newly inspired poets, as well as, those interested in entering the world of art in general? Any final thoughts? Tantra Zawadi: Tap into your uniqueness. I believe we all have exclusive gifts. Take the time to discover yours, catch up on your reading and don’t be afraid to go in. It is deliciously rewarding and so much fun. …Peace and Love! *I would like to thank Tantra Zawadi once again for taking the time to answer these few questions, and we wish her all the best in all her endeavors. 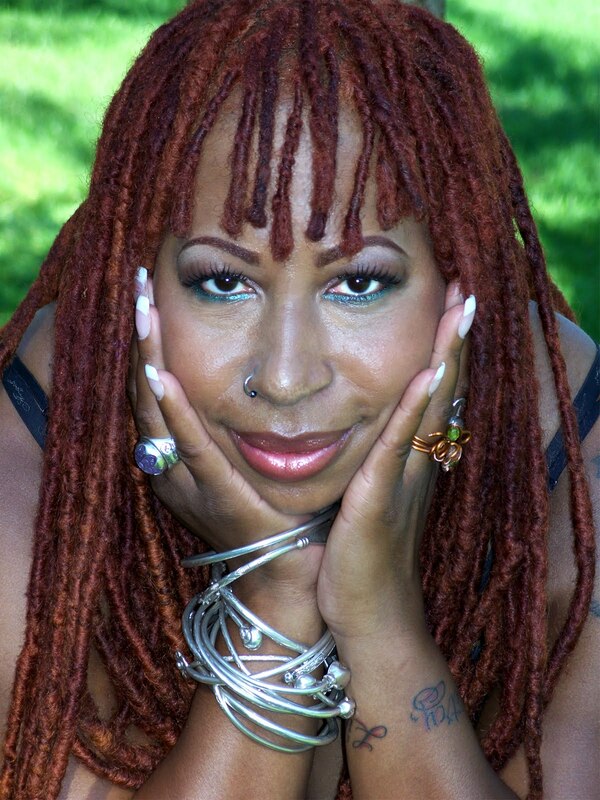 Don’t forget to check out her website http://www.tantra-zawadi.com/ Stay blessed! Such a joy to read this interview with you Tantra! Thank you for that unique spirit you are and for sharing it with us. What keeps impressing me with you – beside your superb creativity and that great heart – is this shared ability to at the same time give of yourself AND lift others! You do that in “one movement”. I haven’t figured out how yet – but I guess it’s just you, part of your gift! You are a living example that offering the best of oneself to the world, really also is a gift to community. You inspire excellence and exploration, and you make us want to listen and learn more, in music, poetry and any arts that expand our insight and understanding of society and human sharing. Thanks for everything you bring along Tantra, and thanks to Blue Steel Magazine for giving this glimpse of you! Thank you for this interview. Truly enjoyed learning more about the artist, mother and motivational speaker. Stay luminous sister Tantra and thanks for the affirmation of my work too. 🙂 You know we have great resonance between our paths as women, mothers, healer poets, he-artists.